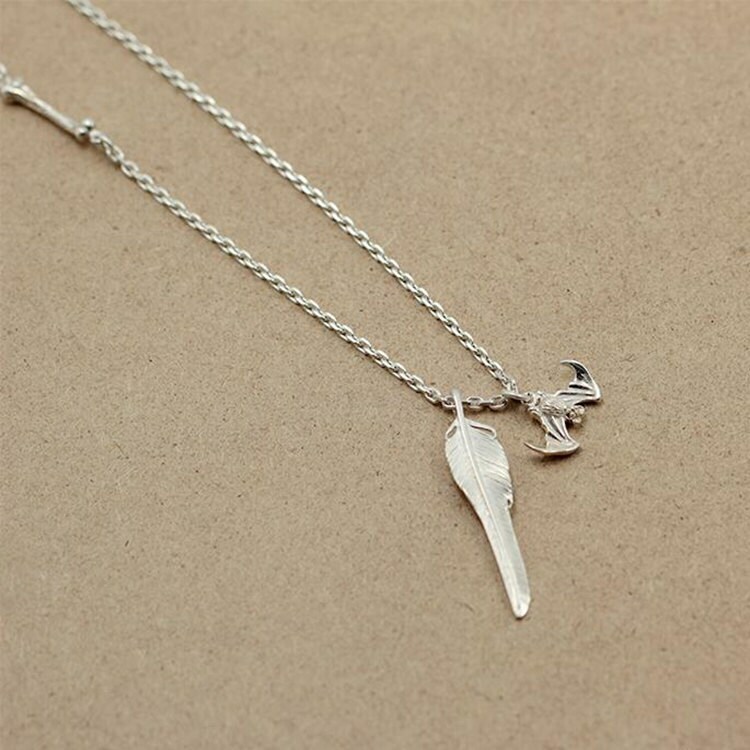 The silver feather necklace is laden with plenty of charms - a silver feather charm, a small silver bat, and a bunch of bones. 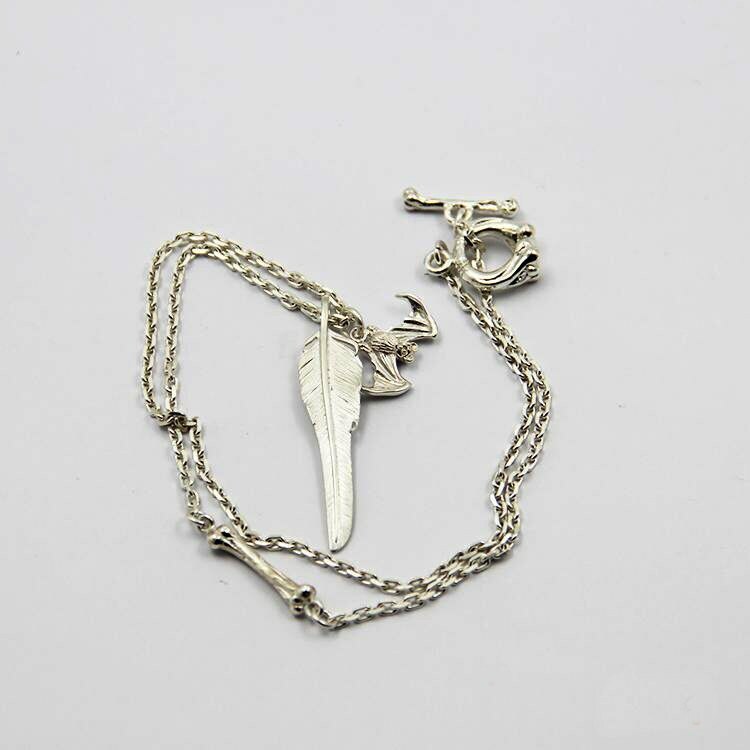 All the charms in this sterling silver necklace have a special in the Native American culture. 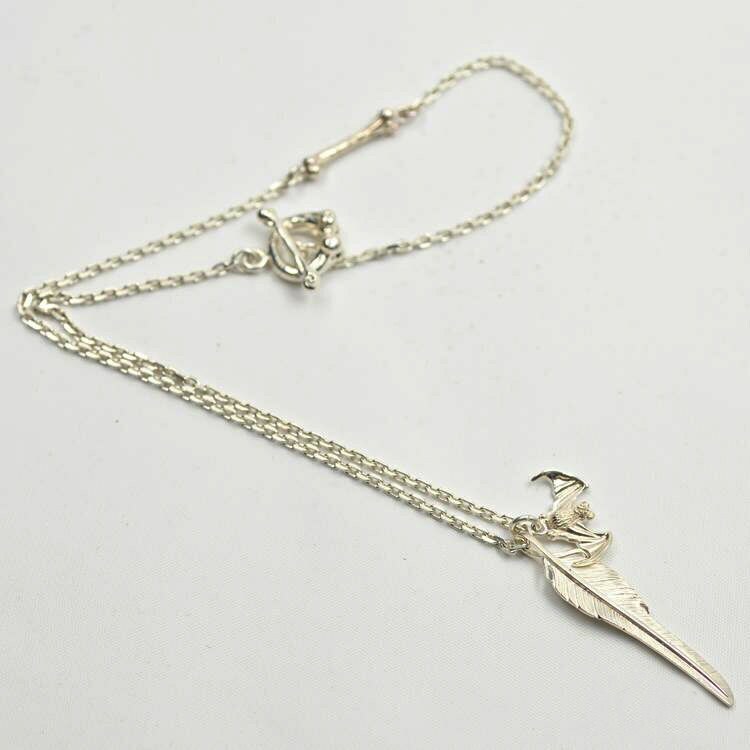 The eagle feathers stand for trust, honor and wisdom, while the bat is a symbol of diligence. 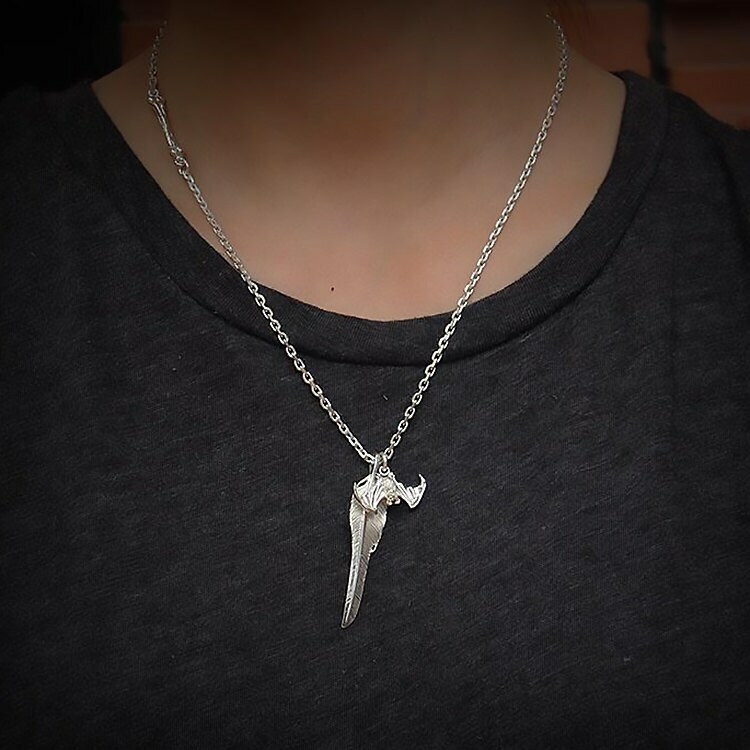 Fans of gothic jewelry will also like this necklace. 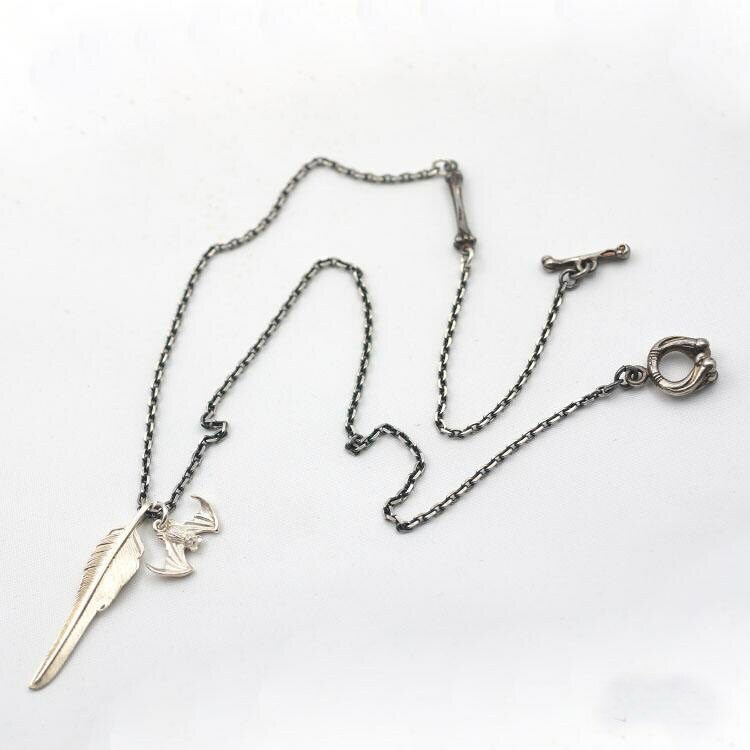 The silver feather pendant necklace is available in two finishes - the original, shiny silver finish, and an oxidized, vintage finish.